I'm getting some visual glitches when playing this game. It starts at 2:00. When a character collects a golden banana a black border appears around said character. There are also some visual glitches on character models at 3:30. - everything enabled except "Skip EFB access from CPU"
Sorry for any grammar mistakes. English is not my mother tongue. Turn off (uncheck) "Store EFB Copies to Texture Only"
It's likely an issue with your videocard, I'm unable to reproduce the issue. We've seen other people report similar issues, so, there's likely a possible fix coming eventually. I'm using an "AMD Radeon HD 5800 Series" card (2GB / 256 Bit). Oh well. 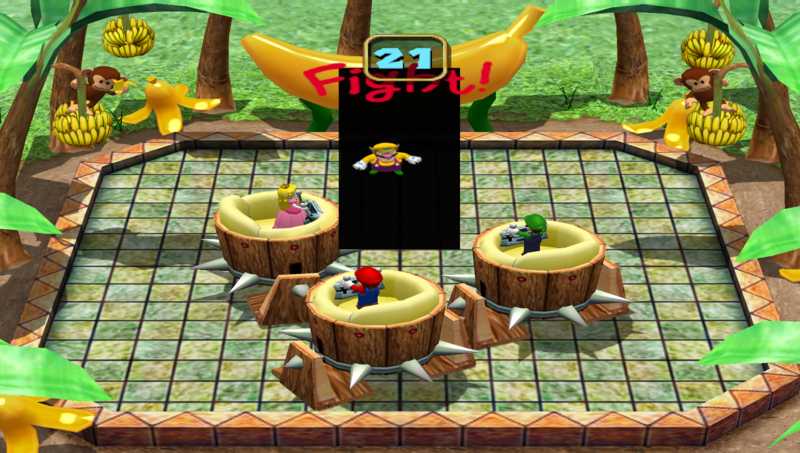 It's just a minor annoyance and it only happens in Mario Party 4. Is someone using the same Mario Party 4 version and has a working code for it? Would be very helpful.